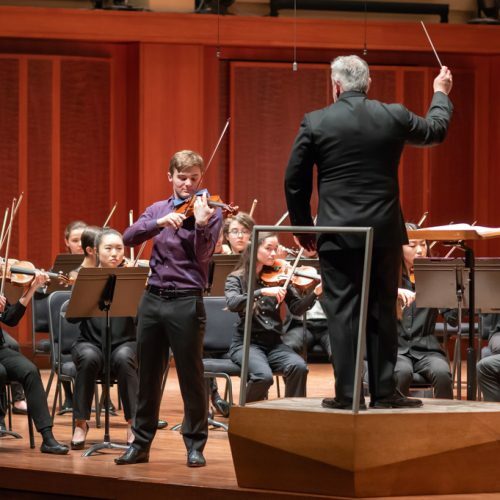 As Seattle Youth Symphony Orchestra prepares for its 75th anniversary season, let’s look back at how the organization’s identity has evolved. 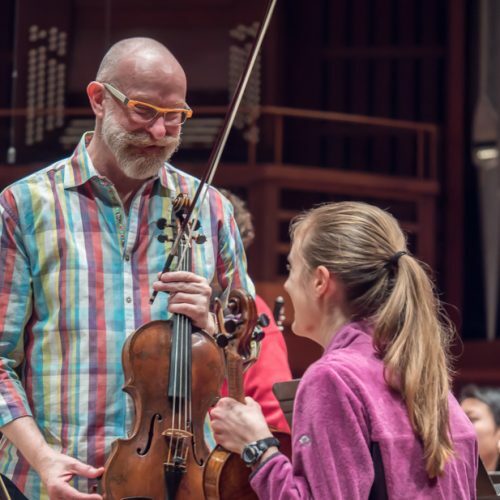 Always recognized for its outstanding performances and dedication to youth musicians, SYSO has, in recent years, evolved from simply a performing arts organization to one that embraces a broader community service mission. 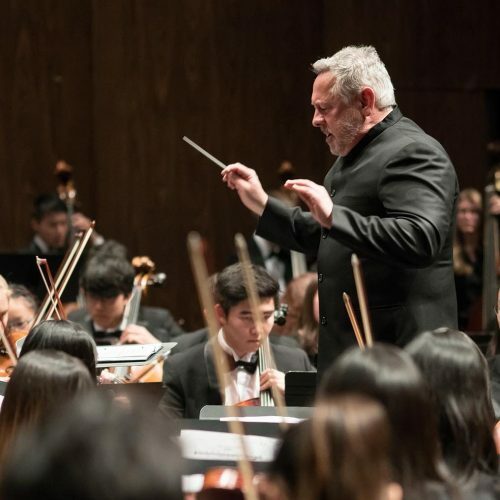 Our partnership programs with the region’s public schools have brought the joy of music to hundreds of students for whom such opportunities were limited. The data collected from our research has informed arts education groups in the region, and youth orchestra programs nationwide. And our collaborations with Pacific Northwest Ballet and the Seattle Opera have enriched these organizations while broadening and diversifying our own educational curriculum. All this has taken place while still maintaining an identity for the highest performance standards. 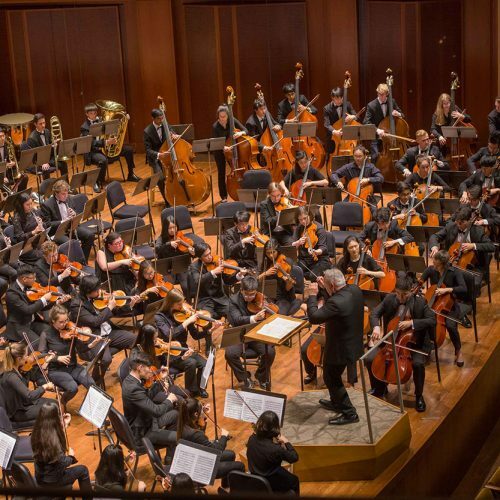 From our Endangered Instrument Program Side-by-Side concerts, through our Academic Year Orchestra Program and on to the professional-level performances at the Marrowstone Music Festival, SYSO seeks to nurture the hearts and minds of its participants, while holding its student musicians to high artistic standards. In the coming months SYSO will be rolling out a new identity to the Seattle public that will feature a new logo, a new website, and new collateral elements that speak more clearly to the organization’s vision of service to the region’s cultural and educational community. 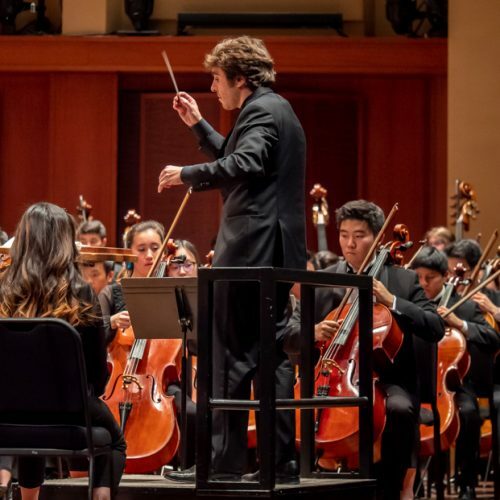 In preparation for the celebration of our 75th anniversary, SYSO’s new identity will draw from the rich accomplishments of its legendary past, while at the same time highlighting the valuable work being done today and in the future. The purpose of all this is to broaden the general public’s appreciation of our organization, and build greater community support for its mission. With all the changes to SYSO’s identity, one thing hasn’t changed. We know from testimonials of our hundreds of alumni, spread literally all over the world, that participation in SYSO helped them foster their own personal identities. Young people in the formative years of their lives yearn to create their own identity, one that distinguishes them from their peers, while at the same time engaging them in a community of like-minded individuals. SYSO creates a forum for such an identity discovery. As students transition in their academic lives from elementary school to middle school to high school, they are confronted with physical, social and psychological challenges that can, to a young mind, often seem insurmountable. 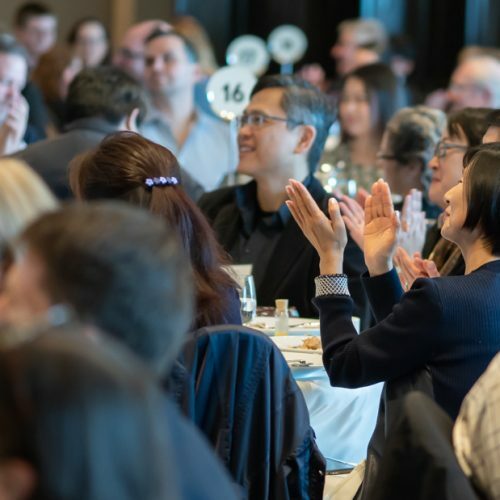 The sense of belonging to an organization such as SYSO not only provides a way to deal with these challenges, but in doing so, fosters a personal identity­—a membership in a community built on teamwork, cultivating self-esteem and rich in pride. Providing a pathway to musical excellence and personal pride has always been part of the SYSO identity. As we look towards the future with a new brand image, we do so with recognition of our past, and an appreciation for how our identity is really found in the identities of the thousands of students we have served.